When visiting the Blue Ridge Mountains, there is a myriad of activities found here that can be fun in any season. One such activity is visiting our countless, sparkling waterfalls. With so many options to choose from, you might have trouble deciding which of these gorgeous natural features you want to visit first. 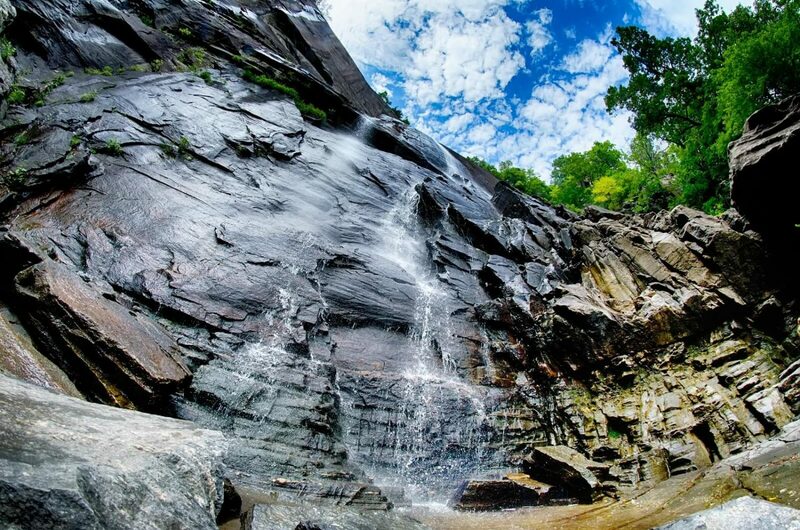 Pearson’s Falls, one of the best waterfalls near Saluda, NC, is a spot you don’t want to miss. Here are a few reasons why Pearson’s Falls is a waterfall that needs to be at the top of your list of must-see spots in Western NC. One of the top reasons why so many people love and recommend Pearson’s Falls is because it is impeccably maintained. Pearson’s Falls is owned by the Tryon Garden Club, a respectable organization that takes pride in maintaining the grounds and preserving nature. They also see it as their duty to educate the community on the thriving local ecosystem. Another reason why so many people flock to Pearson’s Falls is its accessibility to all ages and skill levels. You do not need to be an avid hiker to enjoy the falls. There is only one trail and it leads from the parking lot to the falls and is developed. Only 1/4 mile separates you and a beautiful 90-foot waterfall. 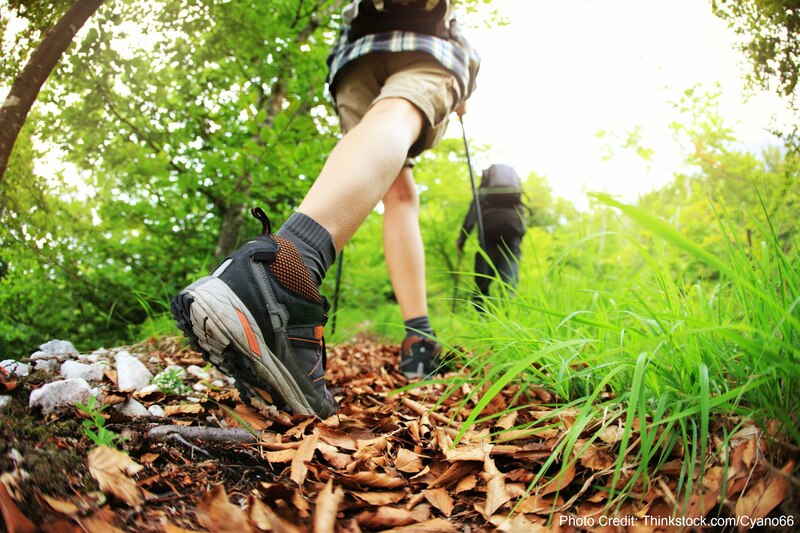 The walk can be enjoyed by nature lovers of all ages; everyone will love walking along the path and spotting all sorts of flowers and woodland creatures. Pearsons Falls is a private park so there is an admission fee. Don’t let that put you off because for the small fee you pay, you get tenfold inside. Adults (13 and up) are $5 each, 6-12 are $1 and under 6 is free. However, your furry friends are not allowed in the park, unless you have a leashed service dog. Since Pearsons Falls is privately owned, they do have hours of operation. From March through October they are open Monday-Saturday from 10am to 6pm and Sunday from 12pm to 6pm. In the fall from November through December and the month of February (they are closed the entire month of January) they are open Monday through Saturday from 10am to 5pm and Sunday 12 pm to 5pm. Not only is Pearson’s Falls a stunning natural attraction, but it is also a wildlife and bird sanctuary. In the 268 acres that make up the park, there are over 200 species of wildflowers and plants and is considered a deciduous forest. 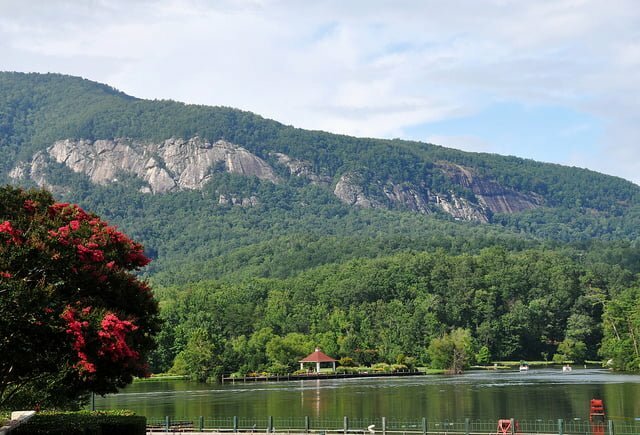 See how many you can spot at this incredible area tucked away in the North Carolina mountains! Come Stay with Us at the Orchard Inn in Saluda, NC! Pearson’s Falls is truly one of the best adventures you can experience in Western NC. When you go, make sure you take a snack or some lunch there, there are plenty of places to sit and eat while enjoying all that nature has to offer. While planning a trip to Pearson’s Falls, consider staying with us at the Orchard Inn. We have luxurious rooms for you to relax in, as well as two cottages for those who love their privacy. We also have an in-house restaurant that will tempt your palate with the freshest foods available in the area. Contact our wonderful staff today and book your weekend to visit Pearson’s Falls. See the Best Views Ever at the Chimney Rock State Park — How to Celebrate this New Year’s Eve in Asheville, NC, to the Fullest!